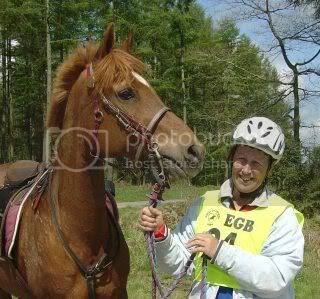 EGB-Heart of England Group - Mortimer Forest Training/Pleasure Ride - Saturday 25th April 2009. Distances from 13km(8mile).20kms(12mile).30Kms(18mile)or 40kms(25miles). 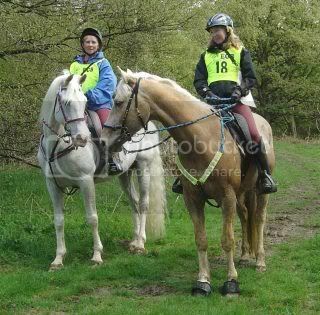 starting and finishing in the forest, only two gates on course, Forestry tracks, Common land and bridleways, with stunning views of five counties..come and have a day out for pleasure or training. start time. 10 - 11.30.Entries will close when Full, so don't hang about if you want to ride get your entries in asap. 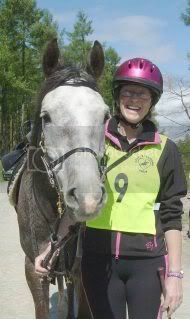 email me and I'll send you an entry form, or look on the EGB site under Training rides. Charges �11 for members & �16 for non members. Refreshments on site so you can get one of the best bacon butties in the county.email me for an entry form, No entries on the day.Limited Parking so limited entries..so hurry. Forestry Rosettes Sponsered by Barbara Elwell.....Thanks you Barbara...they are gorgeous.. I'm looking forward to it Sue. 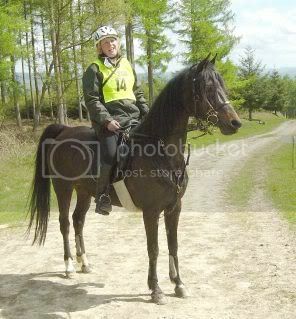 A ride not to be missed suitable for a good training ride or to enjoy the views. I hope to do both. 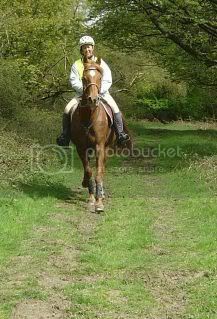 I just love riding in Mortimer Forest. And just about to start making the cake. Thank you Sue & Olwen and all their helpers. 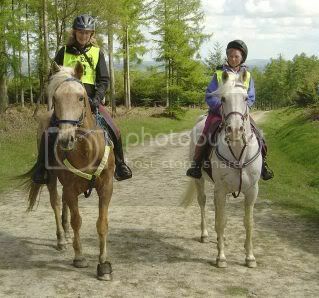 Todays training ride at Mortimer Forest was lovely. I left home in pouring rain and a cold wind but the weather certainly picked up for the ride. The views were stunning and the going excellent. You must have worked really hard as the marking was excellent and left no room for any doubt. A thoroughly enjoyable day out. Thanks from me and Briar we had a great time. Hi All, Thanks for coming, so pleased you all liked the routes and thanks for your comments.This ride went right to the top of the High Vinnals, with its stunning views of twelve counties and as far as Snowdonia, it was a beautifull bright sunny day. Good bacon butty, loads of helpers and plenty of riders, some travelling 70 and 80 miles to get there. Good to see you all and thanks you for coming and making it all worth while. Lets hope the organisers do it again in 2010 and we see more of you. Beautifull Forest rosettes sponsered by Barbara Elwell. First of the pic's just coming now.... Cheers Sue. Camilla & Donna finish in the sunshine. Delia(normally taking the pic's) & Elaine, Both Barfoot and Happy. Judith & Blondie. out for a spin. Rachel & Seb. Just Training. Carolyn & Ben, enjoying the ride. 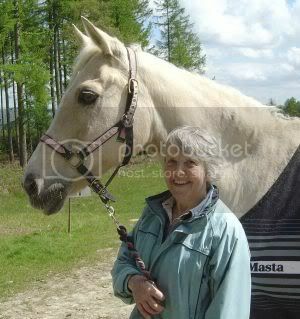 Sue Higgins & Rosegay, Getting Brier out for a spin. Donna & Sky and Camilla & Sundance. 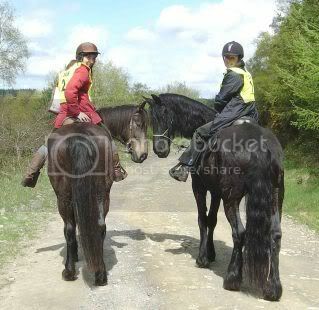 Horses wanting to ride the other wayaround. Rachel & Seb and Sandra & Mav( Sandra...note ears forward). 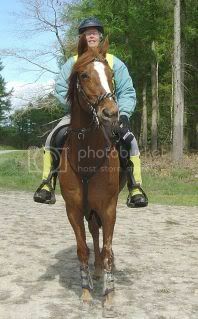 Delwyn & Chador. Another just enjoying the views and Training. Carolyn & Ben Atr the Finish. 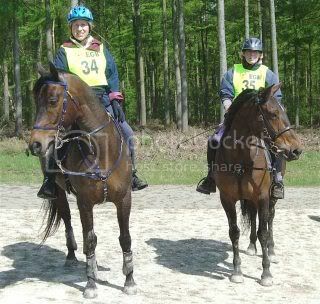 Lisa in front on Livia. Only her second outing at this sport. Sarah & Shafeeq. Enjoying the views and going. 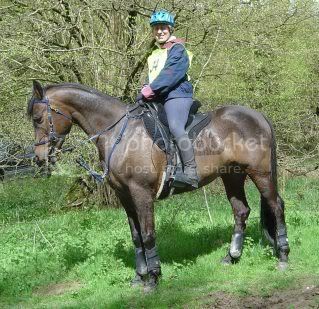 Sue Olwen and all the other members of the team thank you so much for your hard work in providing us with a great ride on Saturday. We had a lovely time admiring the views with Seb getting a good long work out up the hills at the same time. Even the weather was perfect and super photos too ! Not to mention the cake !!! !